These diamond bank transfer codes lets users load airtime, transfer money to friends & family from their phone’s dialer. The diamond bank recharge codes and that of transfer is similar. You’d need memorize the short code only. Diamond Bank is one of the most popular banks in Nigeria and it has lots of customers nationwide. Like the latest trend is ; Every bank now allows the use of Mobile banking apps, USSD codes or SMS messages to do bank transactions and Diamond bank is no exception. These “off-bank” services are aimed at easing banking stress and cut the queue found inside banking halls. The USSD code method of banking seems to be the best as it does not need internet service or limited to some specific type of devices. Feature phones like: Nokia 3310, Nokia C1, Java OS devices, and etc. can be used to run this system of banking. This article will be detailing everything Diamond bank customers need to know about the USSD system of banking. It is centered on latest diamond bank transfer codes for off-bank transactions. The USSD code for Diamond bank is *426#, A.K.A Diamond Wonder Code. Below are the steps to activate and use the diamond wonder code for bank-related transactions. You have to be sure that the mobile phone number used when creating/opening the account is the one present on your mobile phone. dial *426# to register and create a personal PIN which would be requested from you whenever you want to perform a transaction. Once you create the PIN, you are already on the go. 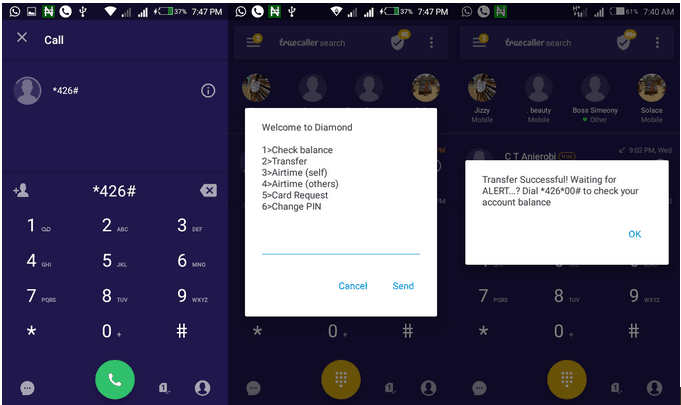 How to Transfer funds using Diamond Bank USSD code. Enter the desired amount you wish to transfer and press send. Enter the beneficiary’s account number and press send. select the beneficiary’s bank operator. you will be shown your beneficiary’s account and bank details, plus the amount to be sent. If the information is correct, continue by clicking the send button again. Input you secret PIN and click send. Your transaction is successfully done. you can dial *426*00# to view your current balance. Note: You are LIMITED to use or perform transactions worth less than NGN20,000 daily. Once you have used or done transactions up-to NGN20,000 in a day, you can no longer carry out any other operation using Diamond bank USSD banking system for that day. This section is about how to top-up airtime on your cell phones and/or tablet devices with Diamond USSD Banking system. Enter the amount you want to recharge. Input your PIN and click on send. Carefully enter the recipient’s mobile number. With diamond bank USSD system of banking, you can request for new ATM Cards without visiting the bank. Just dial *426# and select the option 5. 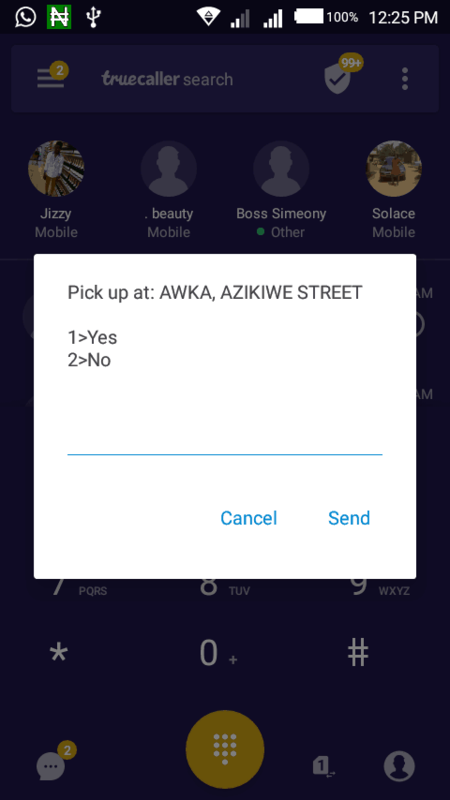 It will automatically detect the Diamond bank branch closest to you and ask if you’d like to pick up your card from the selected branch. You can then tap 1 to go ahead with that option or 2 for alternatives. With the introduction of Diamond USSD banking system, you’d not have to visit the bank for minor transactions. This is the main point of using these diamond bank transfer codes for your day-to-day transactions. The Mobile app also is available for users with smartphone and an internet access. 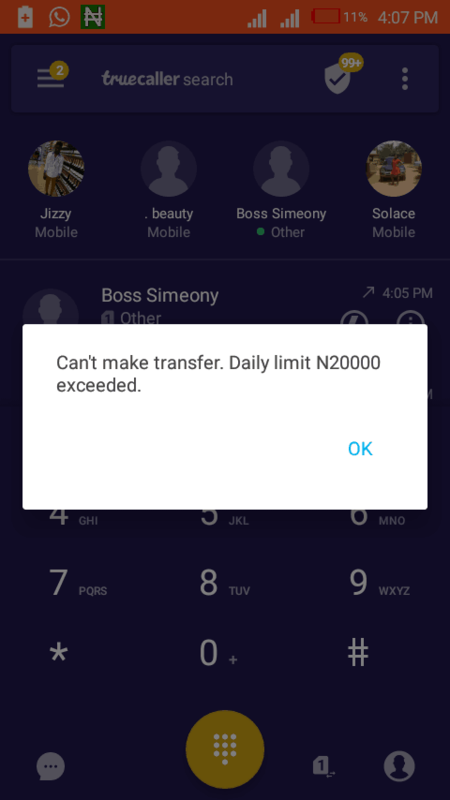 The mobile app option does not have the NGN20,000 per day limitation. Have you used these diamond bank recharge codes in the past or tried using the USSD banking system of any other bank? Please do share your experiences with us in the comments section below.